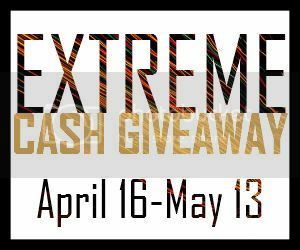 The April Extreme Cash Giveaway is finally here! This prize for this month is… a $500 Paypal cash prize! There are multiple entry options and daily entries as well, so make sure you keep this page bookmarked so you can come back every day to increase your chances of winning. 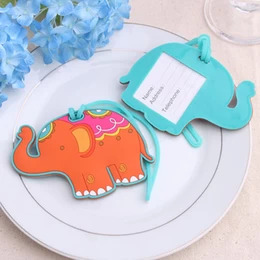 Giveaway ends 5/13 and is open worldwide. Good luck! Washed the siding on my house. The most extreme thing I have ever done is maybe crossing the USA by myself 2 times lol that is about it. The most extreme thing I did today was go to the dam at dark to try and help my husband with a fish counter. Ate a hostess cupcake for breakfast…and lunch. The most extreme thing I have done today is sneaking outside this morning (in my PJs and bed head) with my camera to catch a few pictures of a pair of Mallard ducks that visit us for a few days each spring and fall. Attempting to figure out how to use the overly complicated pedometer they gave us for the office walking challenge – I really would have liked to do something more extreme with it, but I restrained myself. got the kids ready for today. The most extreme thing I did today was take my daughter some medicine and cheese to help her with her diar"rear". It was EXTREME! The most extreme thing I did today was drive to my daughter's. At the extreme cost of gas it has become an extreme thing to do. I sure could use some moola. I cannot get the Picket Fence Blog vote links to work..is anyone else having a problem with this? I entered a ton of raffles today! The most extreme thing I did today was opening & eating a package of Milk Chocolate Moose Munch snacks that I got around xmas. I guess my most extreme thing I did today was I made a decision. I usually want to discuss everything with my husband. The most extreme thing I did today was make a decision without any worries. I got my 4 kids 14,5,3,1 up and moving. My most extreme thing today was finally finding a dress that I need for an event next week after driving to 6/7 stores. Today's most extreme thing was trying the new Shanghai Steak at Panda Express Pretty good! 4 loads of laundry and lots of other cleaning projects. take care of my hyper 3 year old while trying to work at the same time! The most extreme thing I've done today is to clean an extremely messy kitchen! Attempted to qualify for Nascar!! The most extreme thing I have done today is eat mcdonald’s for breakfast. Answered the same question from my students about 25 times. nothing extreme other than waking and making my husband lunch before he left for his 2nd shift job and dinner to take along. Gave my Pit Bull a bath! woke up to my 4 yr old cutting barbies hair off. Got my kids ready in 15 min for swim lessons!! Well, it’s not all that extreme, but I made a full meal for my family of nothing but homemade appetizers: quesadillas, pizza rolls, spinach artichoke dip, homemade salsa with baked tortilla chips. Felt rather extreme, I guess. absolutely nothing. I had lots to do today, and I did none of it, lol. It isn’t even noon yet so I’ll have to wait and see. most extreme thing i done today! was sit on facebook cause we have $0 and had to barrow $5 for the ol man to get to work.with gas $3.69 a gallon i hope he makes it there and home..we could really use this!! thank you for chance to win!! The most extreme thing I have done today is workout. Nothing. I woke up late and am now headed for the doctors. Gotta love those Cortisone Shots. Most extreme thing I’ve done today is taking my Archaeology final without cracking a book, we shall see if I passed…. The most extreme thing I have done so far today is wake up at 3:30am and not go back to sleep. Most extreme was waking up at 6:15 because My son wanted to wake up! His prek starts at 8! So I woke up made him breakfast and watched cartoons with him before getting him ready for school. The most extreme thing I have done today is….not clean…. My extreme thing for the day is to entering a ton of giveaways. The most extreme thing I did today was start tagging the boys clothes for the garage sale. Enter a ton of Giveaways!! i have done some chores at home. I washed the house today! Outside LOL. No bird-dirt here! I am having trouble with FB whenI click on the like button it takes me to another windows –social plugin sign in and then it doesnt count my likes. Anyone else having problems with FB? I was bad and stopped at Sweet Eats and picked up a strawberry shortcake. So good, so many calories! I just came in from mowing the yard! That is about as extreme as it gets around here! Not have coffee this morning! I ordered something new at my favorite restaurant! I got my haircut short! The most extreme thing I did today was play some soccer with my awesome Pit bull! That is awesome! I will have to try that.